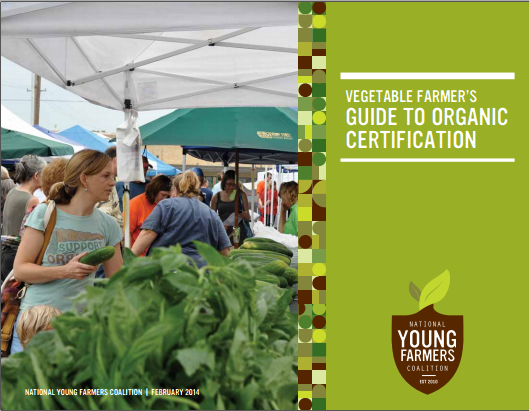 A guidebook to demystify and encourage organic certification for beginning farmers. The Vegetable Grower’s Guide to Organic Certification is designed to demystify and encourage organic certification for beginning farmers. The guide is meant for vegetable farmers who embrace the philosophy of organic agriculture but aren’t yet certified. It addresses some of the challenges to certification and helps farmers explore the decision for their own farms. Organic certification is a valuable tool that farmers can use to communicate growing practices and philosophies. Beginning farmers face a large number of challenges as they begin their operations, from barriers to land access to regulatory obstacles. Certification can help ease that transition by boosting marketing and helping to connect with larger potential customer bases.